CERF+ urges every artist to take at least one action during the month of September to be better prepared for emergencies. 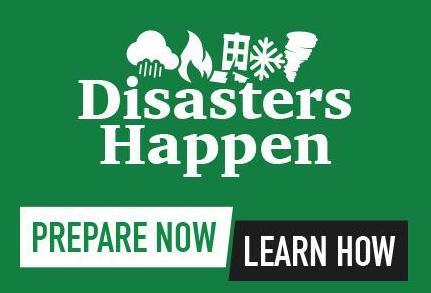 Remember that preparedness is a process — you may never be 100% prepared for everything, but you can always be better prepared than you are right now. Be part of the national effort! Fire extinguishers are readily available, inexpensive, and easy to install. Place an appropriate one near every exit. If you already have fire extinguishers, be sure they’re accessible, functional, and up-to-date. Install smoke and carbon monoxide alarms if you don’t have them. Replace the batteries if you do. Replace alarms every 10 years. Ten-year lithium batteries are now available for smoke alarms. Remember to test your alarms monthly by pressing the “test” button. Put at least one copy of the backup at a safe off-site location, at least 50 miles away or further with a friend, relative or safe deposit box. If your studio catches fire, the backup won’t do you any good on the desk next to the computer! Learn about the risks you may be facing and what you can do to protector yourself, your work and your livelihood. Check off items you’ve already accomplished and choose action items to complete. If you don’t have business insurance coverage, take stock of your art assets and look into insuring what you can least afford to lose. Contact an agent who has worked with artists.